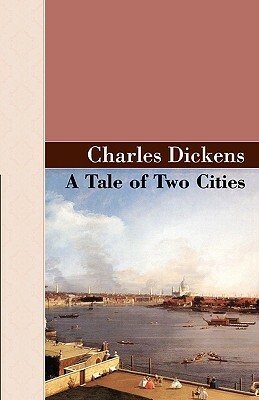 A Tale Of Two Cities, by Dickens, Charles - Akasha Classics, AkashaPublishing.Com - A Tale of Two Cities is Dickens, Charles ' sweeping and romantic historical novel, pitting the fate of one family against the turmoil of a nation. Lucie Manette and Charles Darnay seem to have put their troubles behind them. Both Darnay and Dr. Manette, Lucie's father, are French exiles who paid a heavy price for their convictions. Now they have found love and safety in London. But when the French revolution breaks out everything changes. Drawn back to Paris to help a friend, the couple now find themselves in the midst of the Reign of Terror, which threatens to engulf them. Will they find a way out? Dickens, one of the foremost storytellers in the English language, shines in one of his most popular works.